Iron Horse – Ride your two wheeled steel horse through a massive rattlesnake bridge. Downtown – Go inside the building where Southwest Deco was perfected and where an infamous gangster met his end! Presidio – This is where so much began: ancient Hohokam settlements, Tucson’s first structures, and the birthplace of the chimichanga! Armory Park – See historic homes, from Queen Anne to Greek Revival. Where else will you find Tolstoy, Gandhi, and Cesar Chavez hanging out together? Barrio Viejo – Historic narrow streets, colorful adobe homes, and fascinating shrines. One of the most unique neighborhoods in the USA. Barrio Kroeger Lane – Get a closer look at “A” Mountain and the Santa Cruz river, which is the real reason why Tucson even exists. Barrio Anita – Stop at a little neighborhood joint famous for its amazing tortillas. Dunbar Springs – Visit sculptures and murals placed within the community by the community. That’s art at its best! West University – Zip along bustling bike lanes past Tucson’s funkiest shops. The tour includes an individually fitted bicycle, helmet, water, a snack of fresh tortillas and, of course, a friendly and knowledgeable guide. Just show up ready to ride.  Immerse yourself in the distinct historic neighborhoods of Tucson!